Sellick S Series - J.D. Honigberg International, Inc. The roomy operator compartment was fully designed as an operator comfort zone. The zone’s ergonomically-minded features include tilt steering, fully-adjustable suspension seat, easy-to-read gauges and indicator lights, cup holder & coat hook. The isolated operator’s compartment sits on rubber mounts which dampen engine vibration & noise. 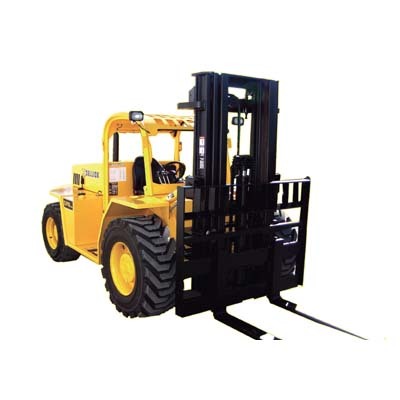 Access to the comfort zone was improved by widening the doorways, removing obstructions & improving the safety steps on both sides of the forklift. The comfort zone is also a safe zone with optimum operator visibility, retractable seatbelt, halogen work lights & backup lights, backup alarm & neutral safety start. 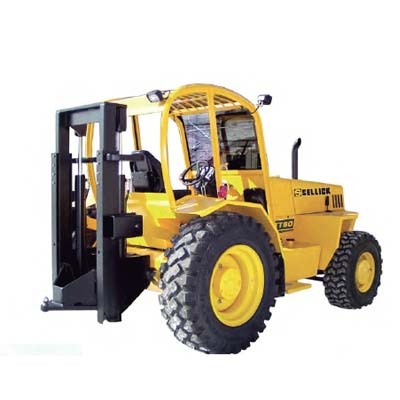 The S Series forklift features the EcoMax T4i Tier 4 interim turbocharged diesel engine. The EcoMax T4i engine does not require exhaust after-treatment. Diesel Particulate Filter (DPF) and Selective Catalyst Reduction (SCR) are not required providing cost savings for servicing and less downtime over other Tier 4 interim engines equipped with a DPF and SCR. All models are available with four-wheel drive. 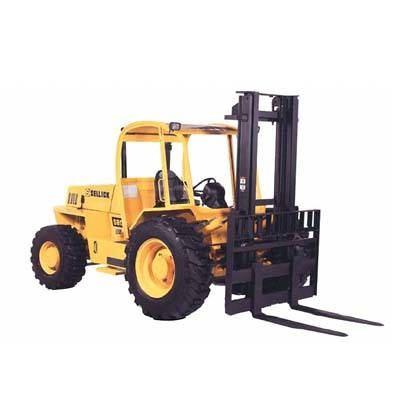 All S Series forklifts are equipped with Sellick’s SEE-THRU© hi-visibility two-stage or three-stage mast assemblies. 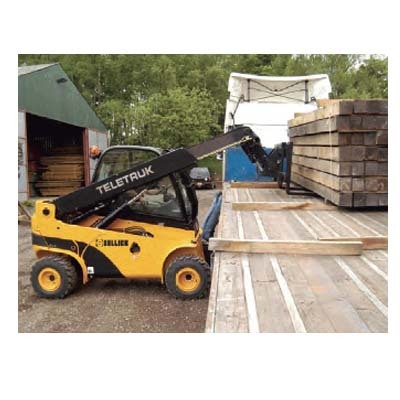 Sideshifting is standard and a wide range of carriages, forks and attachments are available. 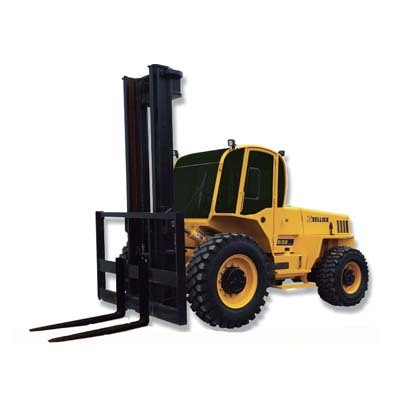 Sellick offers a wide variety of hook, shaft, & rotating carriages, forks & attachments to customize your S lift truck for your job application.